Vivos DNA device can correct or improve problems causing TMJ pain, obstructive sleep apnea, orthodontic teeth crowding, upper airway restriction syndrome (UARS) and many postural problems. How and why? Because the root cause of all these problems is the same or tightly related. The magic of the appliance is that it works for adults. The Vivos works by stimulating bone growth in all the mouth and nasal passageways. Or simply put, the DNA treatment results in increasing the size of the upper airway and optimizing the spaces about the upper and lower jaws. By increasing the upper airway size and balancing the jaw structures, night time airway obstructions can be removed, normal sleep and biomechanical function of the jaws and cervical spine can all be restored to normal function and biological harmony. Best of all, the root cause of the problems has been corrected. 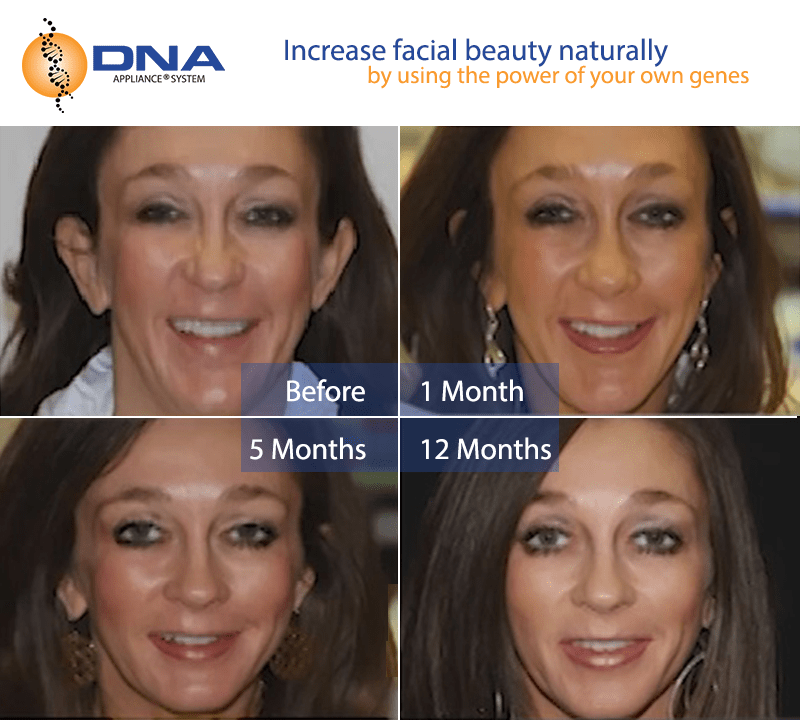 The DNA appliance does not need to be worn forever, but only during the course of treatment. Average treatment times range between 9 – 18 months. 77% of people with sleep apnea or UARS problems also report TMJ pain. TMJ symptoms are often caused by teeth clenching episodes at night time. The clenching occurs when the airway is blocked during sleep. Clenching is a reflex caused blockage or obstruction of the upper airway. Often times the obstruction is the tongue falling into the airway during deep sleep. The clenching is a defense mechanism to wake you up into a lighter sleep, when the tongue will contract and come out of the throat and back into the mouth. The tongue displacement is caused by there not being enough room in the mouth for the tongue. Vivos DNA appliance therapy is the best non surgical treatment for TMD, sleep apnea and UARS. Vivos DNA treatment corrects and sometimes cures TMJ and sleep apnea. Most treatments available for these conditions only address symptoms – night guards, occlusal splints and dental snore appliances. CPAP is a viable treatment option but it does not correct airway and sleep problems. Dr. Adams is a certified DNA appliance provider. The power in this corrective treatment is pneumopedics and craniofacial epigenetics. The fancy terms you can forget, but basically what it means is you can stimulate new jaw and cranial bone growth in an adult. The result is more space for jaw and cranial balance, proper tongue spaces and function and a bigger upper airway for better sleep and night-time breathing. The Vivos appliance is removable and easy for adults to tolerate. It only needs to be worn in the evening and through the night. At the end of treatment the appliance can be retired and does not need to be worn forever. 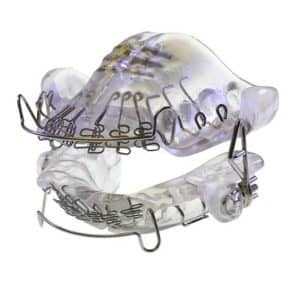 The difference between the DNA device vs night guards and dental snore appliances: DNA corrects or dramatically improves TMJ and sleep apnea problems by promoting growth in the upper airway and balancing the dental occlusion and bite. In contrast a night guard or silent nite is an appliance that manages a problem and is worn for the rest of your life. 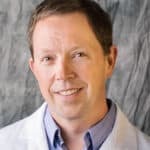 Dr. Gary Adams DDS sees patients from all over Maryland DC metro area for DNA Appliance therapy. Maryland Holistic Dentist practice is in Burtonsville near Columbia and Silver Spring Maryland. We have maintained this DNA appliance website for years. Because the Vivos DNA device creates more room in the mouth, it naturally treats obstructive sleep apnea by enlarging the airway and creating more room in the mouth, nasal passageways and throat. The appliance therapy is very popular among holistic and biological dentists and many other myofunctional therapists. More recently the treatment has become more mainstream as Vivos purchased the DNA appliance from Dr. Singh (the inventor of the appliance). While Vivos has spent more money in promoting the DNA device, they have also increased the cost of the appliance to their treating dentists by more than 300%. The dentists are being charged a higher fee for manufacturing the same appliance plus franchise-like fees for joining/becoming a “sleep center.” Many dentists have been forced to increase DNA appliance costs to patients. We are not here to say this is good or bad, but we do love the appliance and we hope they can make enough money to continue making the appliances. We also hope DNA device costs can remain affordable. Agencies like the FDA and trademarking can be very time consuming and expensive. Other professionals such as orthodontists do not agree with all the claims Vivos and Singh have made about the appliance. Many of the DNA theories, if assumed to be true, would suggest an entirely different approach to treatment than what is common in the average orthodontic office. Most dentists currently believe adult jaw bone does not grow which has been completely disproven by Vivos and Singh. Obviously, more research and communication needs to be had here, but the FDA does not clear appliances without strict proof, so it is obvious that the DNA appliance delivers on its claims and then some. What is the Vivos DNA Device? The DNA ( daytime nighttime appliance ) is a combination of 1) TMJ-TMD night guard, 2) palatal expander 3) retainer. Long story, short, the DNA device will balance the bite relationship between the upper and lower jaws, create more room in the mouth for optimal tongue function and open the airway for better breathing – especially night time breathing. The Vivos device is a removable appliance that is worn at night time. The appliance is more effective than surgery in correcting many TMJ and obstructive sleep apnea problems. The Vivos device is FDA cleared for the treatment of obstructive sleep apnea. what is the best dental implant material? Video of how the Vivos Appliance treatment Works. Notice how the mouth, jaw and spaces get larger. Dr Dave Singh of Oral Systemic Link, is the inventor of the DNA system and epigenetic orthodontics and orthopedics and pneumopedics. DNA appliance reviews so far have been great. Dr Singh has done a great job of everything except marketing the DNA to dentists and the general public. The Vivos is FDA cleared for treatment of mild to moderate OSA or sleep apnea. For some reason, many sleep specialists are not aware of this unique appliance. We attempt to advance this wonderful appliance for upper airway and TMJ disorder treatment. This appliance has helped so many people get better with the unique and novel non surgical TMJ disorder relief option. Anyone suffering from TMJ pain, snoring or has bruxism and tooth wear issues should look at this unique treatment option. TMJ specialists and sleep doctors alike should learn about the benefits of the Vivos treatment. How does the DNA result in Jaw and Upper Airway Development? The removable appliance is worn after dinner time and through the night for a total of at least 10-12 hours per day. Every 1-2 weeks (at the instruction of Dr. Adams) a key is used (by the patient) to slowly open or “expand” the appliance. The “expansion” places a light stretch on the jaw bones in an outward direction. The light stretchy pressure in combination with tongue pressure on the springs embedded in the appliance (see the appliance picture above) causes an increase in bone cell activity and a net growth in jaw volume. The bone growth in the jaws and airway is also called biomimetics. This describes the magic, if you will, of the DNA and why the novel non-surgical treatment option for TMJ and Sleep Apnea patients is such a huge opportunity. Every 6 – 8 weeks the DNA appliance dentist will do an evaluation and adjust the bite on the night guard portion of the appliance to keep the appliance balanced left to right and gently and slowly promote a more forward bite and jaw position. Total treatment time usually takes 6-18 months depending on the difficulty of the case. The treatment is not orthodontic and it is bone volume increasing and the jaw size growing and not the teeth moving around in the jaws as is usual during orthodontics. How does DNA Appliance Treatment correct TMD and UARS? A small mouth, small upper airway, crowded teeth, deep and narrow palate are things TMJ and Sleep Apnea people have in common. Individuals with small mouths and crowded teeth often do not have enough room in their mouth for their tongue to fit during deep sleep. During deep sleep, the tongue relaxes and falls back where it fits better, that is back into the throat and airway. The palate is the roof of the mouth and the base of the nose. “Small” often means, stuffy nasal passageways. Sometimes “seasonal allergies” can be improved by creating more room for seasonal irritants to drain and pass through the mouth and nose. A larger mouth also means larger sinus spaces that drain better and fewer sinus infections and headaches. What happens during Vivos Therapy? DNA therapy gently expands the upper jaw while keeping the bite balanced and optimizing spaces in the mouth and nasal passageways. The DNA is unique in that it treats the bite and the airway at the same time. Volumetric 3D expansion increases the size of the nasal passageways, the mouth and the airway. 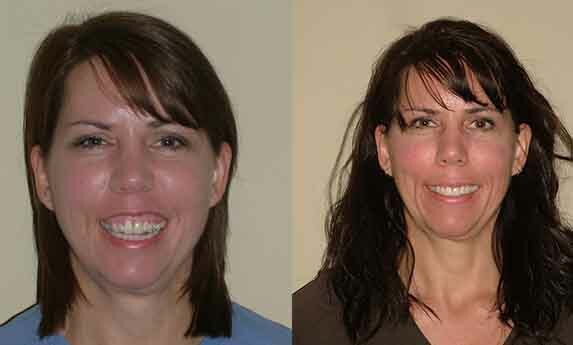 As the upper jaw grows bigger, the lower jaw enlarges and moves more forward into a more natural and optimal position. The lower jaw improvement improves the retrognathic or reverse position of the lower jaw. As the lower jaw moves forward, the tongue and soft tissue follow and have more room to exist and are further forward of the airway, creating a greater distance between the tongue and the airway. And viola, there is less obstruction of the upper airway. The result is improved breathing function, resolution of clenching problems and improved posture. Have you ever wondered why you can’t breathe well through your nose? Sinus pain and pressure is caused by small sinuses and poor sinus drainage. Increases the width, depth and height / dimension of the mouth and airway. The DNA naturally creates more room in the mouth to permanently improve the structures of the jaws and breathing spaces. Correct and cures TMJ problems by adjusting and optimizing the relationship between the upper and lower jaws during treatment. The DNA is the best treatment to stop teeth clenching. The DNA can correct and cure Sleep Apnea, TMJ Disorder, Orthodontic, and Posture Problems. Patients who have DNA device therapy see improvements and sometimes complete cessation of TMJ Pain and Sleep Apnea. The unique appliance therapy is a great tool for the TMJ specialist. Dentists do not diagnose sleep apnea, but they can make the airway bigger with this novel therapy. Many sleep apnea specialists seek out dentists trained in sleep apnea dental appliance. The DNA can be used for all ages. It is comfortable, painless and is only worn in the evenings and while sleeping. There is no comparable therapy to treat TMJ-TMD symptoms or sleep apnea. Any corrective therapies involve aggressive surgery. The DNA apparatus naturally corrects alignment of teeth, jaw balance, facial proportions and symmetry, upper airway, and neuromuscular harmony. There is no cookie-cutter treatment. Many patients may present with common TMJ or OSA symptoms, each case has unique problems requiring a specific treatment course of treatment and a very specific design. Not all appliances and treatment plans are the same. Some cases can be easy and some can be very difficult. Designing a DNA appliance to correct jaw and facial bone problems that exist. There are 100s of different ways to design a DNA Appliance. Other craniofacial and orthopedic appliances have existed in the past such as the ALF appliance. But DNA therapy is the best non-surgical treatment for TMJ and upper airway / sleep apnea issues. MRNA or mrna is basically a Vivos dna device with a mechanism built in to prevent the lower jaw or mandible from falling backwards at nighttime. Otherwise the mrna is the same appliance as a dna. A rigid bite index is created on the upper jaw or maxilla to hold the mandible in a more forward position at nighttime. The concept is the same as any snore appliance or mandibular repositioning appliance. Aka MRA or mra sleep apnea appliance.